According to the National Trauma Institute, trauma accounts for 41 million emergency department visits and 2.3 million hospital admissions across the nation each year. One of the first individuals that trauma patients see is a Trauma Nurse. According to the National Trauma Institute, trauma accounts for 41 million emergency department visits and 2.3 million hospital admissions across the nation each year. Trauma is the #1 cause of death for Americans between the ages of 1 and 46. The Society of Trauma Nurses indicates that the number of traumatic injuries continues to grow, especially in the elderly. Trauma nurses deal almost exclusively with this patient population. When nursing students investigate potential career paths, I’ll sometimes be asked, “What’s the difference between a trauma nurse and an ER nurse. Aren’t they the same thing?” For the novice nurse, it’s a fair question. But seasoned nurses learn there are distinct differences between the two roles. Trauma nurses interact with patients during their state of emergency. They are trained to handle a variety of medical issues to save the lives of their patients. The objective of all trauma nurses is returning the patients to their normal lives once they have been appropriately treated. Medicine has become increasingly complex and specialized in past few decades. As a result, careers in nursing have become diversified, allowing registered nurses to concentrate in fields much like doctors. Becoming a trauma nurse is one such specialty. Although an ER has a unique role in a hospital and can assist with trauma patients in small hospitals, only trauma nurses are trained to help trauma patients in larger, metropolitan hospitals. A trauma nurse is similar to a trauma surgeon due to the condition of the patient they are treating. 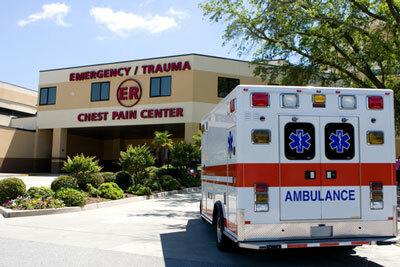 Some hospitals are large enough to have a trauma department. Patients who have injuries to organs have sustained stab or gunshot wounds are sent here as opposed to the emergency room. Trauma nurses have seconds to properly treat the wounds and stabilize the patient as much as possible while awaiting other members of a trauma team. Patients sent to the general emergency department are normally able to speak for themselves. They are sick or have been involved in a minor accident or fall resulting in a broken bone, a sprained joint or other ailments that can be treated by non-specialty medical personnel. As mentioned, the nursing profession is becoming more demanding. Patient needs are more unique and may present new challenges, and complications. Specialized care is required more than ever before. The juggling of patient care along with larger intradepartmental teams creates chaotic and stressful situations for trauma room nurses. They are often faced with making decisions without being able to talk to a patient. Family members may not be on the scene when treatment has to be rendered, making the environment even more pressurized. All this transpires while the trauma nurse is aware of one inescapable fact – a missed call could result in loss of life. Because of the severe condition of the patients seen by trauma nurses, professionals in this role must adapt and accept as part of the job the excruciating medical injuries encountered by people. Trauma nurses are the first line of defense against further damage or loss of life. As such, a trauma nurse must remain calm and well organized, prioritizing patients and their treatment. Monitoring for any changes in condition, however small. Preparing a patient for surgery or diagnostic testing as needed. The first step in becoming a trauma nurse is to become a licensed registered nurse (RN). Although becoming a nurse through a diploma program is a fulfilling career, it is an insufficient starting point for being a trauma nurse. You must have a minimum of an associate degree to begin your journey. Associate Degree: An ADN, associate’s degree in nursing, can be completed in two years. It’s not the optimal nursing degree, but it is the one that will get you on the path into trauma nursing the fastest. Undergraduate Degree: A BSN, bachelor of science in nursing, is a four-year program. Most hospitals require a BSN as before hiring. Although this is not the fastest route, it does provide greater job stability and higher earning capability. Pass the NCLEX-RN: Once you have your ADN or BSN in hand, you must pass the national licensure exam to practice nursing. Specialized Trauma Nurse Training: As a licensed, registered nurse, you must next secure two years of additional training in the field of trauma and emergency care. Without this extra training, you cannot work as a trauma nurse. Graduate Degree: An MSN, master of science in nursing degree is additional education you can acquire once you have a BSN. Although not required to become a trauma nurse, it is the next natural next step in a nursing career and will open additional opportunities for you. It is another two to three years of education and in some cases can be completed online. Doctorate Degree: After an MSN you may choose to enter a DNP program which is a doctorate of nursing. This is an additional one to two years of training and can be completed online. Becoming certified as a trauma nurse is not mandatory. But if you want to add value to your degree, and rise above the competition, it’s a good idea to pursue this certification. The best time to take the courses required for this certification exam is after you have been in the nursing field for a few years and gained a minimum of 1000 hours of trauma nurse experience. Two trauma nurse certifications are available. Current, unrestricted registered nurse license in the U.S. or U.S. RN equivalent. 2 years trauma nursing experience at an average of 1000 practice hours across the trauma care continuum. 20 to 30 hours of trauma specific coursework across trauma continuum. Current, unrestricted registered nurse license in the U.S.
Other requirements vary from state to state. Offers a two-day intensive trauma nursing core curriculum. Trauma nurse certification is specific to measures the attainment of a defined body of nursing knowledge pertinent to the trauma specialty. It lets employers know how serious you are about the specialty. It also gives them greater confidence in your ability to perform with high levels of competency in emergency situations. The education required for becoming a trauma nurse is expensive. However, the Emergency Nurses Association Foundation offers a scholarship which awards twenty-five scholarships annually to undergraduate and doctoral nursing students in amounts ranging from $3,000 to $10,000. To maintain your registered nursing license, continuing education is required. The number of contact hours varies from state to state, although most will require documentation of ongoing education throughout your licensure cycle. You must re-certify yourself as a Certified Emergency Nurse Certification every four years. In May 2017 the Bureau of Labor Statistics (BLS) reported the median annual wage for registered nurses as $70,00 (about $33/hour). The BLS predicts that nursing employment will grow at a rate of 15 percent through 2026 — faster than the average for all jobs. There is a shortage of all nurses, with baby boomer nurses nearing retirement, and the growing health demands of our aging population. The University of Nebraska – Lincoln published a U.S. Registered Nurse Workforce Report Card and Shortage Forecast in 2012. The report indicates that the following states currently have the most acute nursing shortages. The U.S. Bureau of Labor Statistics indicates that in May 2017, the top five paying states for nursing salaries are: California, Hawaii, District of Columbia, Oregon and Massachusetts, paying between $88,000-$102,000 annually. However, if you think about moving, consider the cost of living in each state. It’s possible that the annual compensation reflects higher costs for rent, goods and services. Trauma centers (Levels I, II, and III). Can you begin your career in trauma nursing today? As you have read, trauma nurses draw blood and insert IVs. You can learn those skills right away with The Apprentice Doctor® Phlebotomy Course and Kit. This is kit with instructional material that will give you mastery over venipuncture tasks – all of which are needed as a nurse and especially as a trauma nurse. The Apprentice Doctor® Suturing Course and Kit is a resource that will teach you how to suture wounds in a couple of hours! If you want to become a trauma nurse, or even start your path into nursing– why not learn how to suture wounds now? Is Your High School Curriculum Preparing You for a Medical Career?